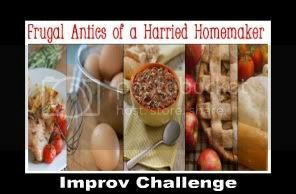 This is my fifth month participating in the Improv Cooking Challenge which is hosted by Kristen of Frugal Antics of a Harried Homemaker. As always I looked forward to participating and finding or coming up with a great recipe which included the two theme ingredients. This month the participating bloggers were asked to make any recipe of their choosing using the two given ingredients of ginger and carrots. At first I was going to make a soup, being that it’s winter…supposedly…as our temperatures had been balmy and gorgeous…well until this past week when we hit the deep freeze…but even so, I decided to make something light, healthy and fresh, thus my Shrimp & Avocado Salad with Carrot Ginger Dressing. I loved this salad so much and as I had plenty of dressing, I ended up eating it for lunch five days in a row,. This Carrot Ginger Dressing is very similar to what is served in Japanese restaurants so if you enjoy it out I’d suggest making it at home as it’s super simple and it keeps in the fridge for about a week. Dry the shrimp well and then lightly sprinkle with the Shichimi togarashi and chia seeds. Cook the shrimp under the broiler or in a lightly oiled hot pan until they are opaque and just cooked through. Arrange the salad greens, avocado, tomato, cooked shrimp and carrots on a plate and drizzle on the Carrot Ginger Dressing. Put all the dressing ingredients in a blender and process until smooth. Will keep in a sealed container in the refrigerator for about a week. The colors in your photos are just phenomenal. What a gorgeous dish. I went with a donut for the challenge but I have been completely blown away by the creativity of everyone. Oh WOW that looks so good. Your picture is amazing! So colorful and brilliant! This looks amazing, Lisa!!! I wish I had a plate of this lovely salad for lunch! I can have salads forever! I love the sound of the dressing ... very refreshing! 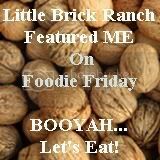 Sounds delicious, Lisa, and your pictures are gorgeous! Sounds great, Lisa! The dressing is a true winner here! My palate just went "ding!" This looks quite zippy, but I adore shrimp & avocado in a salad. Are there varying degrees of shichimi togarashi? I also love that you used chia seeds. YUM! This is a fantastic idea for a dressing, one I want to make, very soon. Sounds like it has great flavor. Melody, I only know of one degree of Shichimi Togarash but if you don't want the extra seasonings that it includes and you just want the heat of the peppers you could use Ichimi Togarashi. This dressing sounds soooo good! That salad is gorgeous and I definitely need to give it a try. Wow...that dressing sounds scrumptious for most any salad...but this one is a beauty! Love shrimp and avocado and your dressing sounds like it compliments the two perfectly. WOW! This is an amazing Savory Dish! How inventive! Thanks for Sharing! I love it! Thank you very much for stopping by my carrot cake ice cream! This looks just devine! I love salads and this looks like a winner! Found you through the challenge! This salad looks so delicious Lisa! I love the flavors that you used. Super yum! 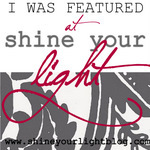 Great blog you have here - I'm glad to have found you! This looks amazing, and delicious! What a great recipe! Such a different approach! Love it :) I think the ingredients this month were just perfect! I love this! Your salad looks like something I could easily eat every day of the week. Your shrimp & avocado salad w/ ginger dressing looks so good! I love the colors, you can tell by the picture, it's a salad exploding with flavor! Yum! I saw your share at Tasty Tuesdays - had to click on your link! Looking forward to your future posts and creations! Thank you and I hope that you love the salad and dressing as much as we do. I featured this on this week's What's New Wednesday! 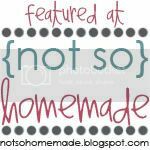 I hope you'll stop by and link up more great things!